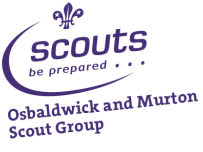 Osbaldwick do not have there own Explorer Scout Unit but there are 2 Explorer scout units available in Minster District. One based a Heworth HQ (Phoenix Explorers) and one based at Snowball Plantation (Compass Explorers). Heworth Meet on A Thursday evening at --pm till --pm. Compass meet on a Friday evening --pm till --pm. As an Explorer scout you do have the option to attend one or both of these meetings. For more info regarding explorer scouts please use the contact us page.